Dr Rajan Varadarajan is a University Distinguished Professor and a Distinguished Professor of Marketing, a Regents Professor, and holder of the Ford Chair in Marketing and E-Commerce in the Mays Business School at Texas A&M University. He received his Bachelor of Science degree from Bangalore University (1968), Bachelor of Engineering degree from the Indian Institute of Science, Bangalore (1971), Master of Technology degree in Industrial Management from the Indian Institute of Technology Madras (1973), and PhD in Business Administration from the University of Massachusetts, Amherst (1979). Rajan’s primary teaching and research interests are in the areas of marketing strategy, innovation, international marketing, and environmental sustainability. He has published over 100 journal articles and book chapters, and made over 200 presentations at major national and international conferences, doctoral and faculty consortia, universities, and other forums. Rajan’s articles on topics such as competitive advantage, corporate diversification and divestitures, e-commerce, environmental sustainability, global competitive strategy, innovation, market pioneering, multi-market competition, outsourcing, strategic alliances, strategic marketing, strategy typologies and taxonomies, and interdependencies between corporate, business, and marketing strategy have been published in the Journal of Marketing, Journal of the Academy of Marketing Science, Journal of Retailing, Academy of Management Journal, Strategic Management Journal, Management Science, Sloan Management Review, California Management Review, Business Horizons, and other journals. Dr Varadarajan is a Fellow of the American Marketing Association and Distinguished Fellow of the Academy of Marketing Science. He served as editor of the Journal of Marketing from 1993 to 1996, and as editor of the Journal of the Academy of Marketing Science from 2000 to 2003. He currently serves on the editorial review boards of a number of journals including the Journal of Marketing, Journal of the Academy of Marketing Science, and Journal of International Marketing. Dr Varadarajan served as President of the Marketing Strategy Special Interest Group of the American Marketing Association (1998–2000), Vice President for Publications for the American Marketing Association (2014–2017), Vice President for Publications for the Academy of Marketing Science (2004–2007), and the Board of Governors of the Academy of Marketing Science (1998–2004). He also served as program co-chair for the American Marketing Association Marketing Educators’ Conference in 1993, the Academy of Marketing Science Marketing Educators’ Conference in 1998, the American Marketing Association Faculty Consortium in 2001, and the American Marketing Association Doctoral Consortium in 2004. 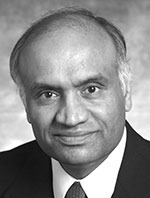 Dr Varadarajan is a recipient of a number of honors and awards including the Mays Business School Lifetime Achievement Award for Research and Scholarship (2016), American Marketing Distinguished Marketing Educator Award (2015), American Marketing Association Paul D. Converse Award for Contributions to the Field of Marketing (2008), University of Massachusetts Distinguished Alumnus Award (2008), Academy of Marketing Science Distinguished Marketing Educator Award (2003), American Marketing Association Marketing Strategy Special Interest Group Vijay Mahajan Award for Lifetime Contributions to Marketing Strategy (2003), Texas A&M University Faculty Distinguished Achievement Award in Research (1994), Journal of the Academy of Marketing Science Sheth Foundation Best Paper Award (2009 and 2011), and Journal of Marketing Harold H. Maynard Best Paper Award (2001).